The ViewBoard® IFP7560 is an 75” 4K (3840 x 2160) interactive flat panel display with an open platform design and diverse collaborative capabilities. 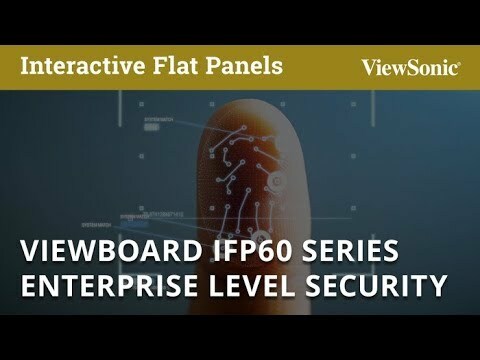 ViewBoard® IFP7560 is fit for integration into Google-based environments, offers seamless Windows accessories & office365 compatibility, comes equipped with Mac multi-touch gesture mirroring, and supports Linux PC touch back remote control. InGlass™ technology delivers a more accurate and sleek touchscreen experience with lag-free writing and drawing in two colors with different thicknesses. 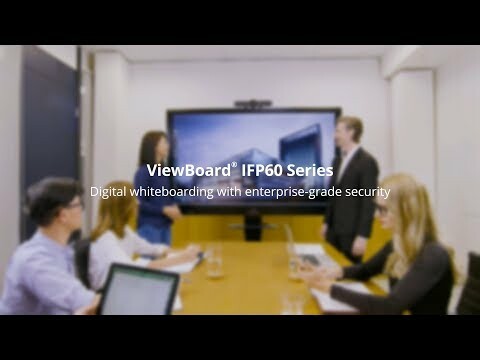 Pairing ViewBoard® IFP7560’s 20-point touch display with pre-installed tools, such as vBoard for annotation, ViewBoard® Cast for content sharing, and Zoom conference software, allows multiple users to remotely write, share, and interact simultaneously. Connecting to more powerful computing platforms is possible via the board’s dual PC slots for the optional Intel Unite® certified OPS* (Open Pluggable Specification) and SDM* (Smart Display Module) which allow users to switch their system to Windows OS. Connecting to the board is made easy through SmartPort™ shared front USB ports for internal and external PCs. Finger print recognition bolsters security and enables easy login to Windows or myViewBoard™ Ecosystem for your digital whiteboard in the cloud. Versatile connectivity to a multitude of devices combined with VESA-compatibility and a trolley design allows for flexible installation anywhere, no matter the occasion.